The 2015 Competition has now finished. Congratulations to the winners and thank you to all who entered! Build the Elves a Vehicle! Someone (possibly these guys) tipped off the animal welfare officers that there may have been mistreatment of animals here at TLCB Towers. How that’s possible with fictional mythical creatures we don’t know, but the short of it is we need to prove that we look after the little sods that make up our unpaid workforce. And so… The Lego Car Blog Elves are about to get their Christmas and Birthdays all rolled into one! To get us off the hook with the authorities we need you to build the Elves their perfect vehicle. Those of you who’ve been visiting this site for a while will know what they like, but for those of you that haven’t, think racing stripes, Transformers, guns, remote control, huge engines, or all of the above. There may also be bonus points available for incorporating an Elf or two into your entry. We’ve teamed up with the wonderful guys over at LUGNuts and Headturnerz on Flickr to enable you to upload your entries via their discussion threads. Alternatively you can contact us in the usual ways to link to your entry or entries. You may enter as many creations as you like, and the winners will be chosen based upon the designs that best meet the brief and our usual Submission Guidelines. We recommend using the Search function to discover more about what the Elves like, and a few hints may be dropped throughout the duration of the competition. You can never read too much, and the awesome guys over at No Starch Press – purveyors of a large range of brilliant Lego books, have provided some excellent prizes for you to win! The first place winner will have top choice of one of the three superb books pictured above. The second place runner up can choose between the remaining two books and the winner will also get their mitts on the remaining publication. 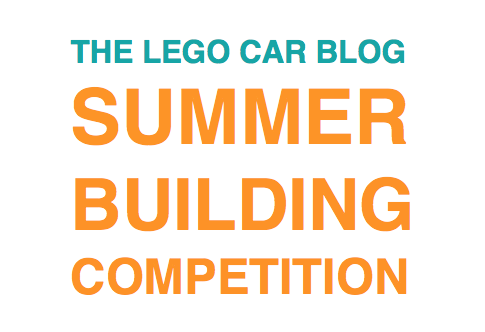 TLCB Summer Building Competition runs from July 1st to August 31st 2015 GMT, and no late entries will be considered. All entries must be your own work and be built and photographed during the two month competition. If you’re under the age of 18 you must get parental permission before entering the competition, as winners will need to provide TLCB with their contact details. LUGNuts, Head Turnerz, TLCB, and No Starch Press are not responsible for any additional tariffs, taxes, customs, bus tokens, or traffic tickets your country may impose on you when claiming your prizes. Good luck to all our readers, and don’t forget you can join the discussion, ask questions, submit complaints etc. via the comments here at TLCB or via our Flickr partners. Yes indeed, but obviously the better your build meets the design brief the more success you will have. An entry for the summer building competition. While the elves like the go-fast and the racing stripes of F1, they find going around in circles a little boring, which is why I have built the elves an F1 car with punch. With enough firepower to make even Vettel obey team orders, it makes overtaking even more exciting, even if the mini-elf on the back does keep falling off. Technical stuff- this is actually an alternative for 42039. It has full suspension and a two speed gearbox (fast and even faster) plus HOG steering and the usual stuff. Check out the homepage later today to see your entry featured! Hi TLCB team! I’m Greg998. I’d like to make the 917K (the one you reblogged recently) my entry for the Summer Building Competition. May I present you my entry for the Summer Building competition, the mighty Scania lorry.The information and pictures are found here: http://mocpages.com/moc.php/415070 I hope you like it! You can find my entry for the Summer Building Competition here: http://www.mocpages.com/moc.php/418291. 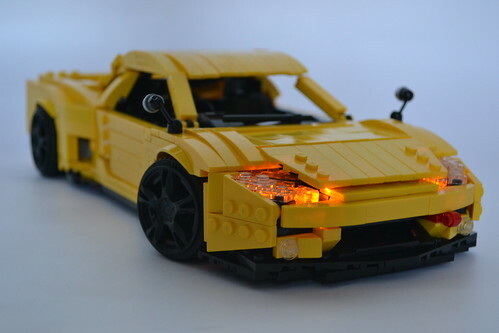 It’s an alternative build using the parts of set 7347. Here is my entry to the Summer Building Competition 2015: http://mocpages.com/moc.php/418405 It’s a Racing style London Taxi. TractorPulling with Gardentractors (riding lawn mowers) is an acctual sport, my submissions are competing vehicles and pulling sled/trailer.